School’s out, and you know what that means: Time to draw the blinds and catch up on the games you’ve missed this year. Or, if you’re a working adult...well, business as usual I guess. But hey! 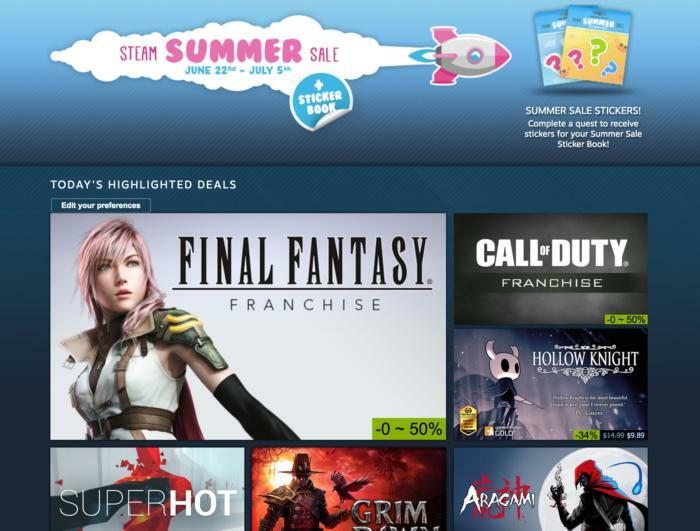 The Steam Summer Sale is back for yet another year of discounts, running from today until July 5 at 10 a.m. Pacific. 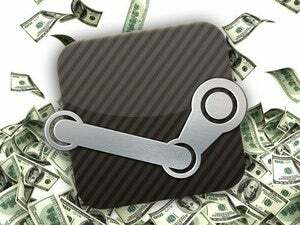 Steam Summer Sales aren’t nearly as special as they used to be, given the number of sales year-round and the excision of the old Daily Deals, Flash Sales, and everything else that used to make rampant consumerism feel like an “event.” Still, it’s a good chance to fill up your library, try some games you might otherwise not bother with, and generally celebrate video games as a creative medium. Plus Valve's thrown in a meta-game this year, Stickers. You can earn Sticker Packs by doing "Quests," which are pretty similar to the Trading Card activities Valve's promoted the past few sales: Explore your Discovery Queue, check out different pages on Steam, et cetera. Quests refresh each day and there's no way to trade for packs, so if you want them all you'll need to return every day of the sale. And there are still some good deals, new-era Steam Sale be damned. Right on the front page I see Superhot for 40 percent off, Mafia III for under $15, Abzu for 70 percent off, and Torment: Tides of Numenera for 50 percent off. There are also a handful of hardware deals again, too. If you’ve yet to pick up a Steam Link and a Steam Controller, you can buy both together for only $45 (or just a Link for $15). The HTC Vive is also on-sale, at the same $750 price we saw around Christmas, this time with a $50 Steam gift card thrown in on top. A decent bargain, if you’re looking to get into virtual reality. The front-page highlights will refresh every 24 hours through July 4, though of course the sale prices won’t change. What you see is what you get. We’ll also be bringing you a selection of more off-beat selections later this week, like this roundup of 15 great Summer Sale games under $5. Keep an eye out.